Welcome to our ‘Magic Moments’, where we give you a glimpse into our classrooms and let you see what is happening in our amazing school. Keep visiting the page to see what exciting activities the classes are doing throughout the year. Enjoy! 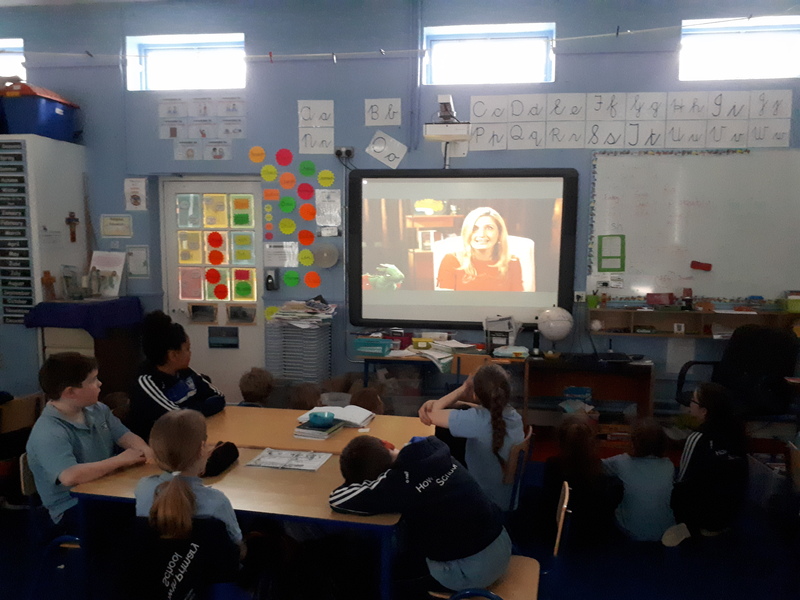 Ms Reilly’s 3rd class watched a live Skype interview with the author Cressida Cowell on Wednesday 6th March. She wrote the How to Train Your Dragon books. Our Senior Infants classroom has been submerged into an underwater world! Mr Sewell is visiting our classroom and teaching the children all about pirates and different kinds of sea creatures! 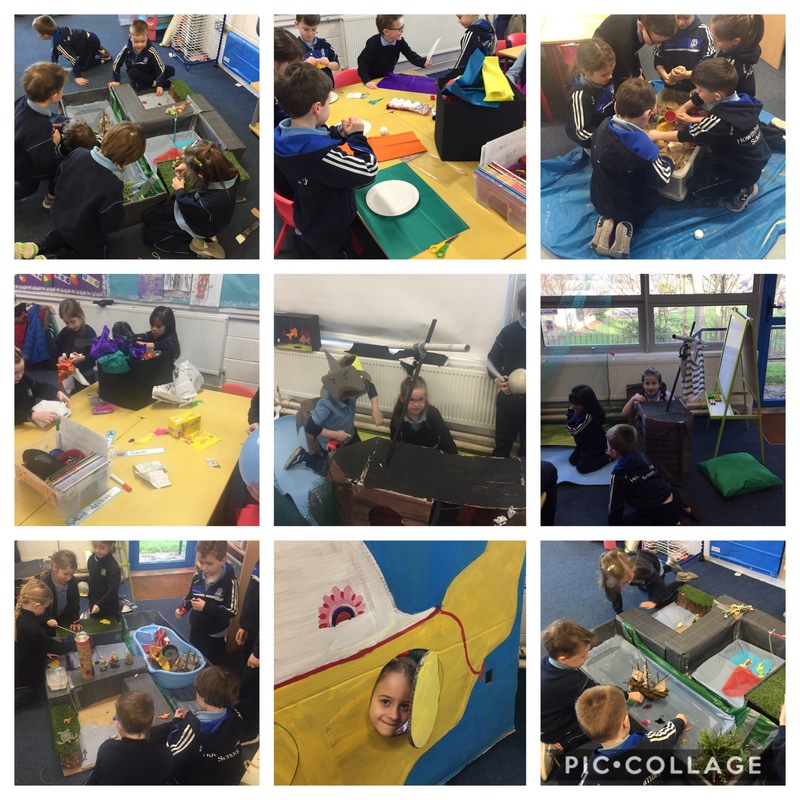 We have been enjoying playing with our Aistear stations which include a yellow submarine, a pirate ship, a small world pier for fishing and a sandpit for buried treasure! 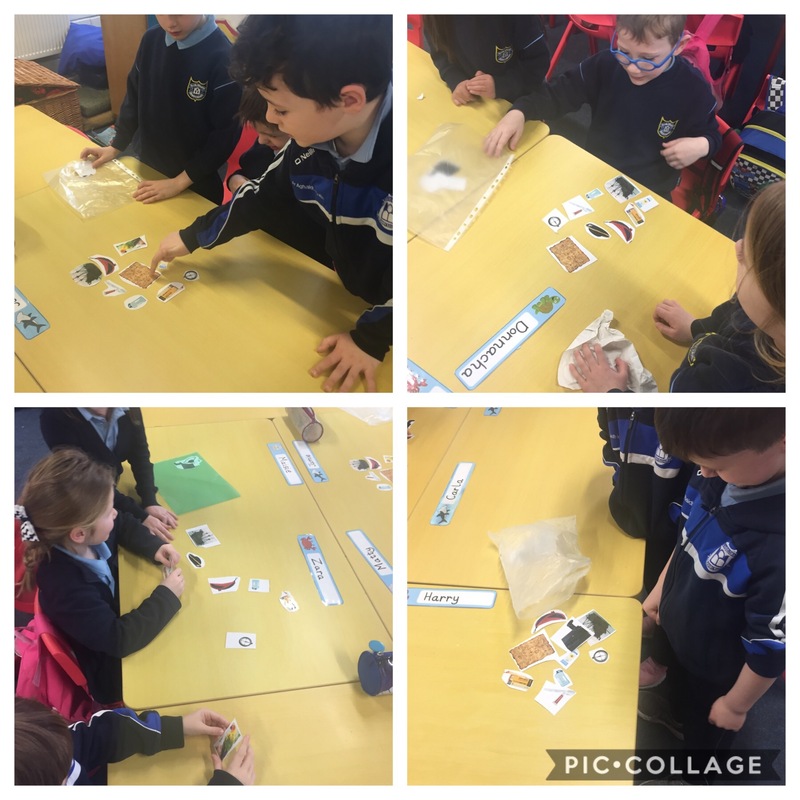 In Maths we had to sort out what items we would bring on our pirate adventure to a desert island we learned about ordinal number and decided on the most important items. 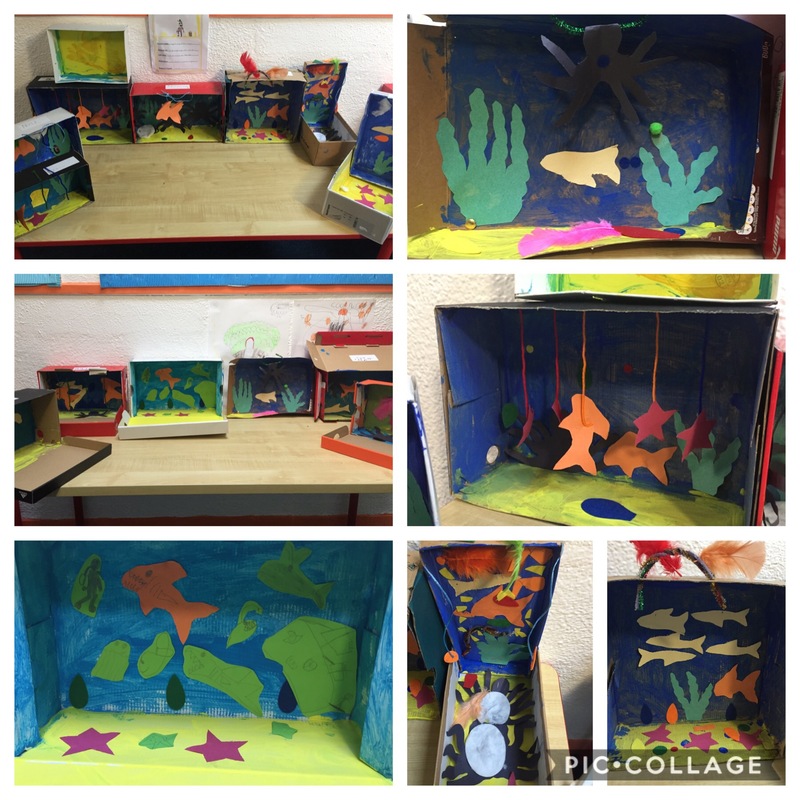 In Art we created a shoe box aquarium with lots of different sea life. We are having so much fun! 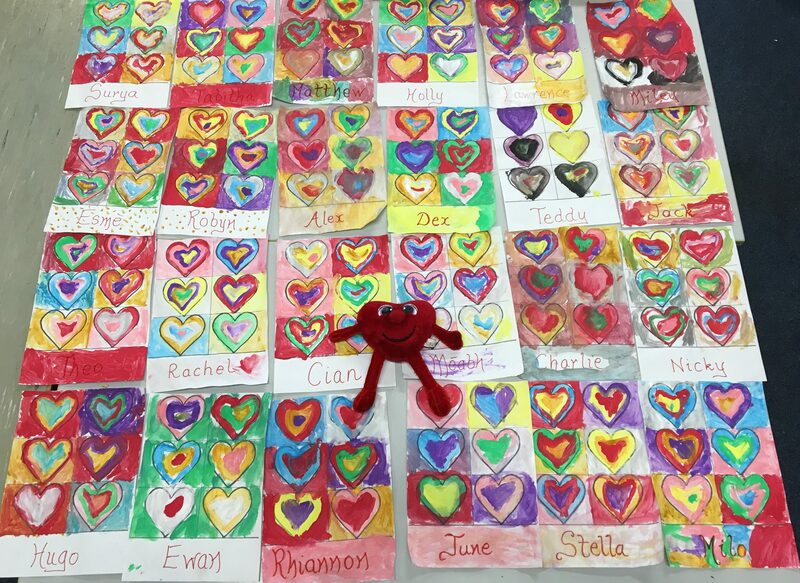 Ms Heerey’s class celebrated Valentine’s Day by painting lovely Kadinsky hearts. This month 3rd class have been learning about Vikings. In addition to our classroom learning we completed projects at home. Here are the wonderful results. 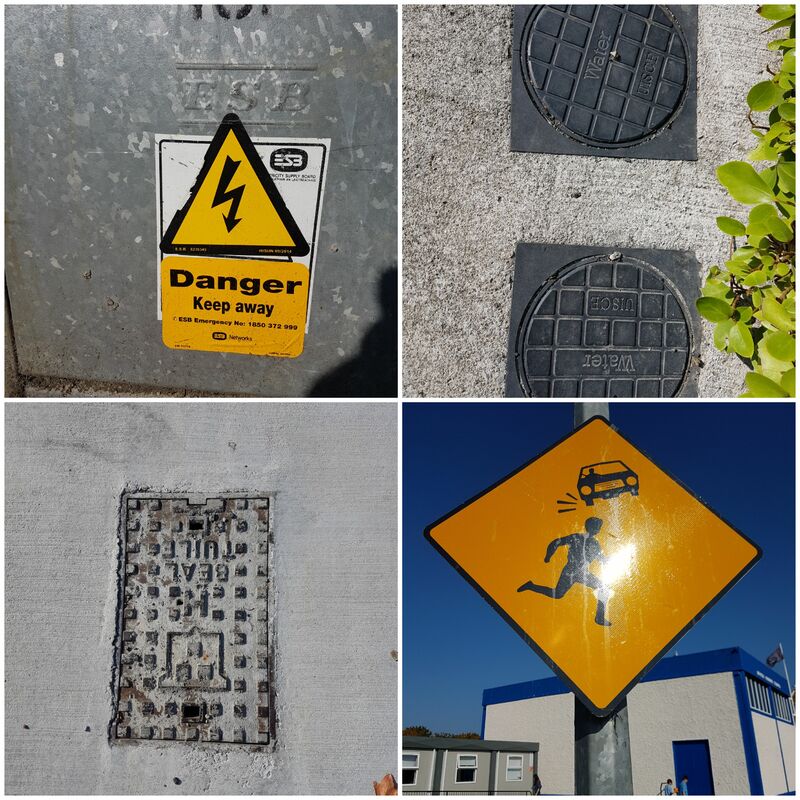 Senior infants have been learning about lights and shadows. 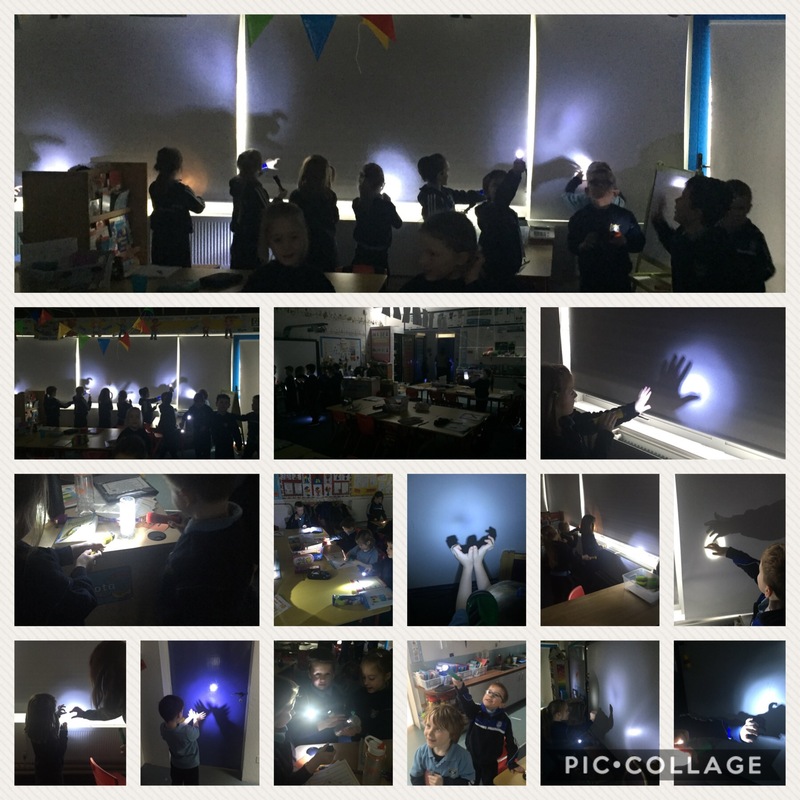 We had great fun discovering how to make shadows and making shadow puppets! 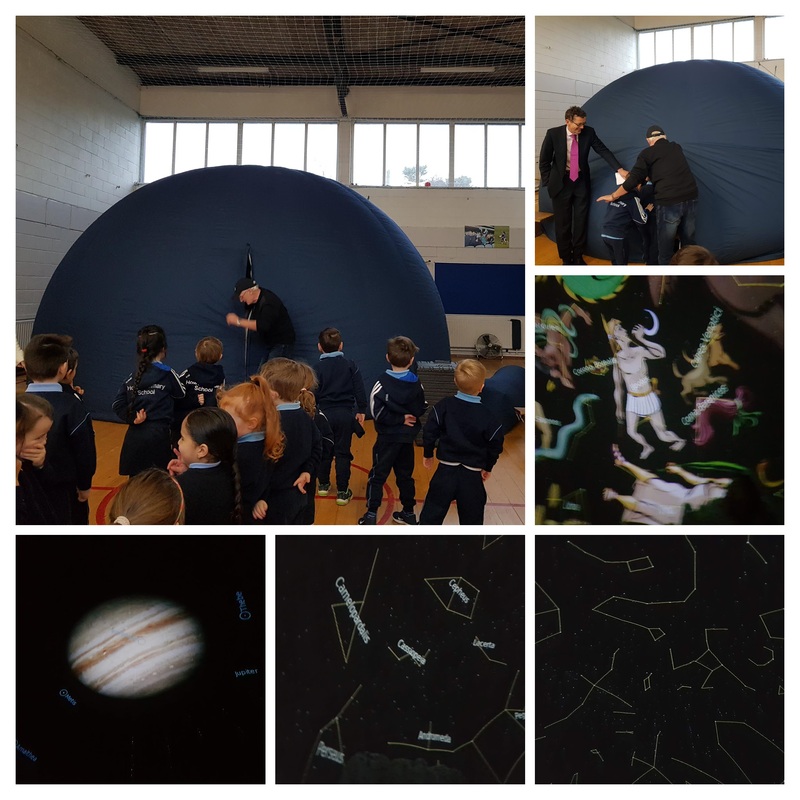 The Exploration Dome Planetarium came to the school on Monday 21st January and Tuesday 22nd January. All the children had a great time. It was a great experience for all. 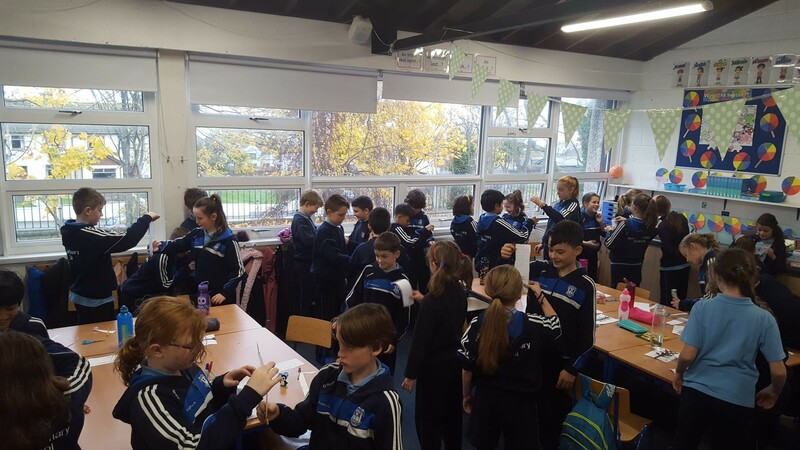 Ms. O’ Donnell’s class had a very busy few weeks. Before Christmas, the two forth classes went to Dublin Zoo. We became Rainforest Rangers and learnt about endangered animals. Some of the highlights included seeing goofy gorillas, magnificent meerkats and remarkable red pandas! We brainstormed, planned, drafted, revised, edited, illustrated and published stories which we read to the boys and girls in Senior Infants. We had a lot of fun! Ms. O’ Moore also visited our class for two weeks and taught us many exciting things. We really enjoyed her lessons and learnt all about The Egyptians, biodiversity, endangered animals, parables from the bible and the important of kindness. Thank you, Ms. O’ Moore! Finally, even though we were so busy, we still found the time to relax and rest. 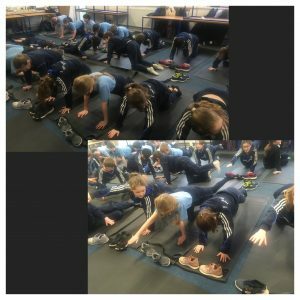 We have being using yoga in class to wind down and improve our strength, co-ordination and flexibility. 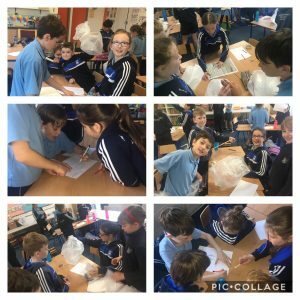 Mr Cassidy’s and Ms O’Donnell’s classes carrying out a joint experiment to test their reactions as part of science week. 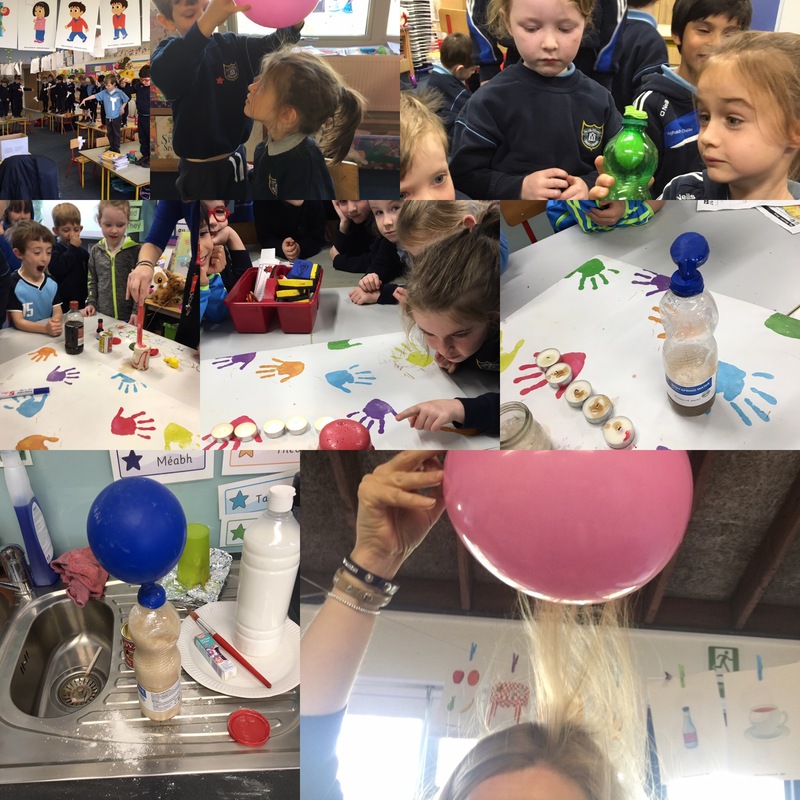 We are enjoying Science week and doing lots of experiments organised by Ms. Anderson. We began the week investigating how gravity works and had fun making paper helicopters. We found lots of ways to generate static electricity and discovered that opposites attract! 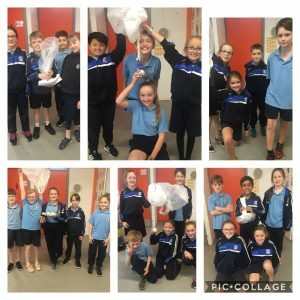 We made models of lungs and diaphragms using plastic bottles and balloons and it was easy to see how our lungs fill up with oxygen when we breathe in. 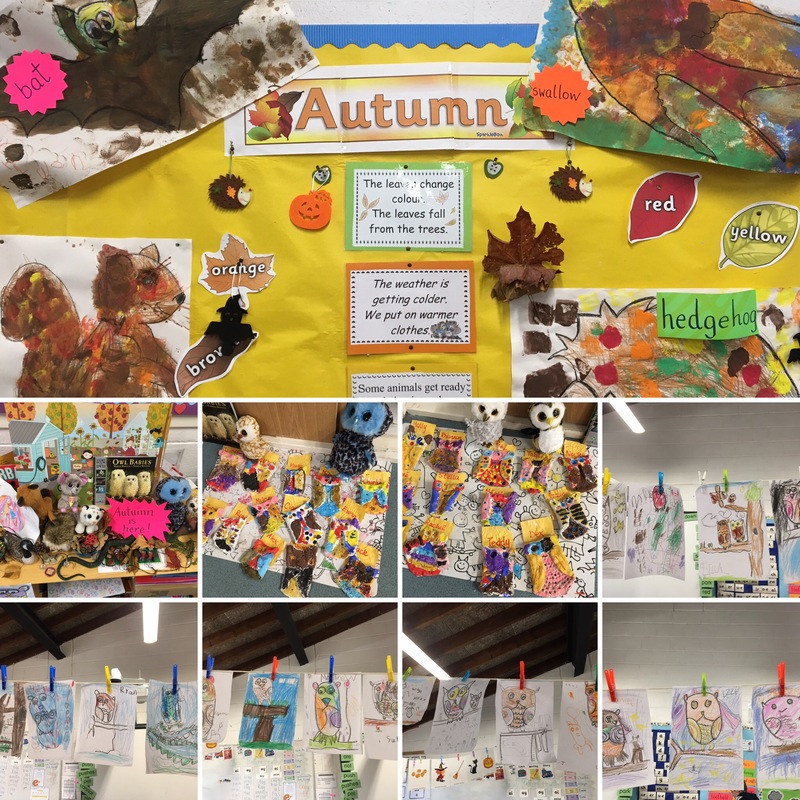 We have been learning about animals that hibernate in class. We sorted animals that hibernate and animals that don’t, worked together to create different animals that hibernate and made owls using clay. We had lots of fun in class. 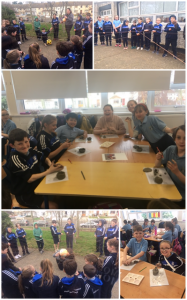 We did collaborative art with hibernating animals, learned how to draw an owl step by step and then made our own owls out of air drying clay. 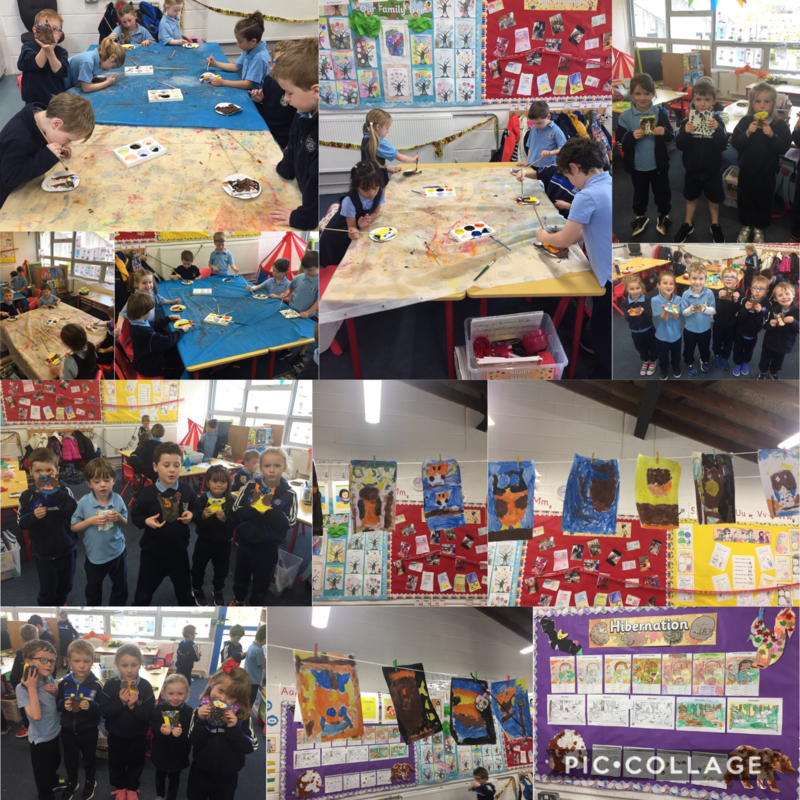 We had lots of creative fun here in senior infants. 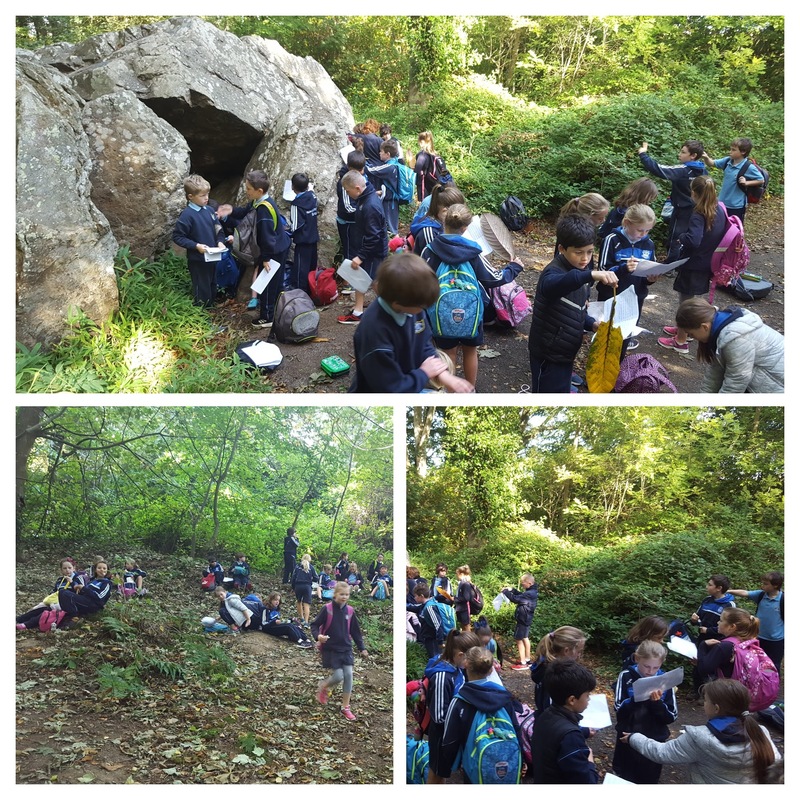 Ms Duane’s and Ms McKeon’s Second classes went on a Maths Trail to find 2D shapes in the environment. 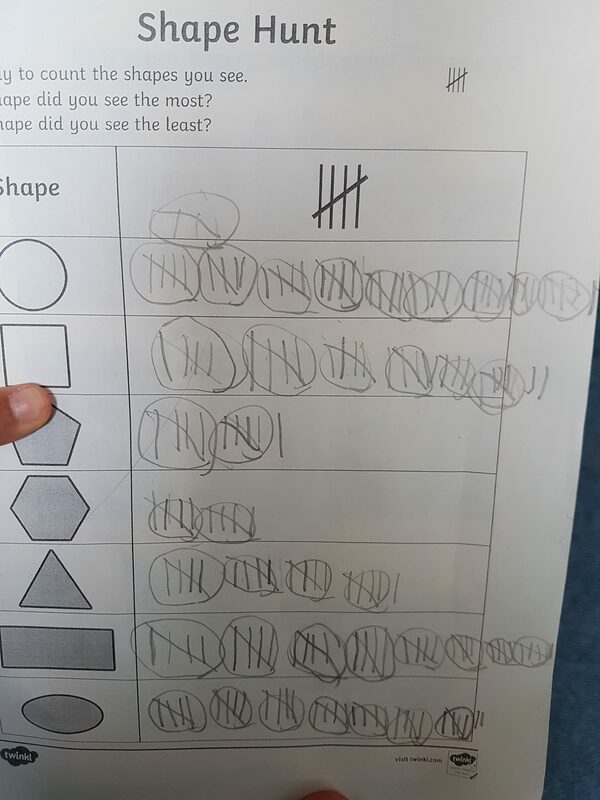 We found out that rectangles are the most used and hexagonal shapes are the least. 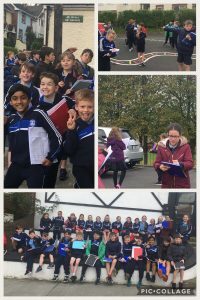 Some great pics taken from a 10 km walk 4th class went on. Big thanks to Ian Sheridan who came along with us and was a wealth of knowledge! 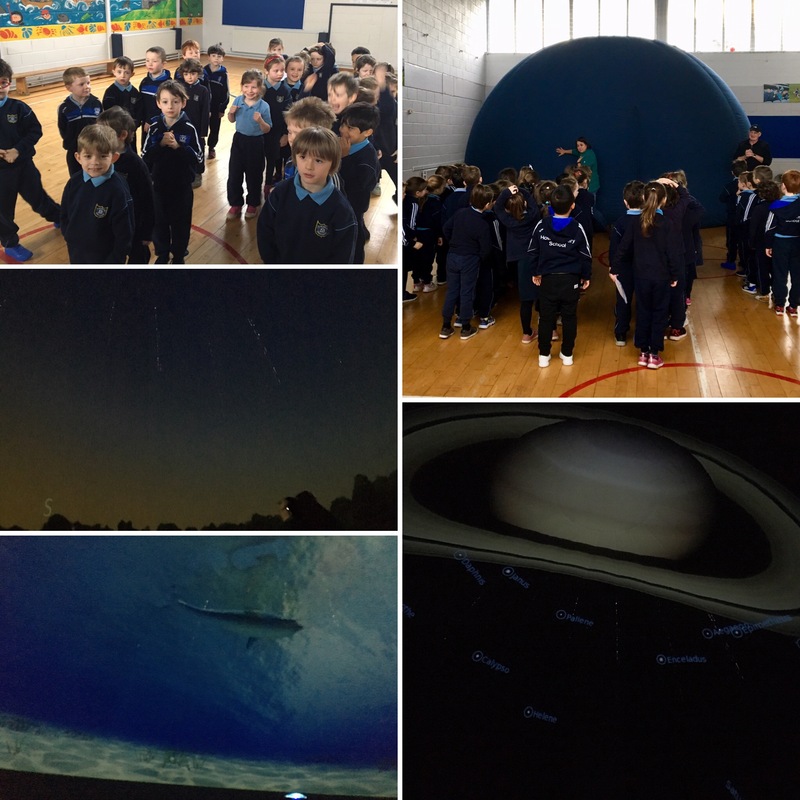 Ms O’ Donnell’s 4th class have been very busy over the past few weeks. 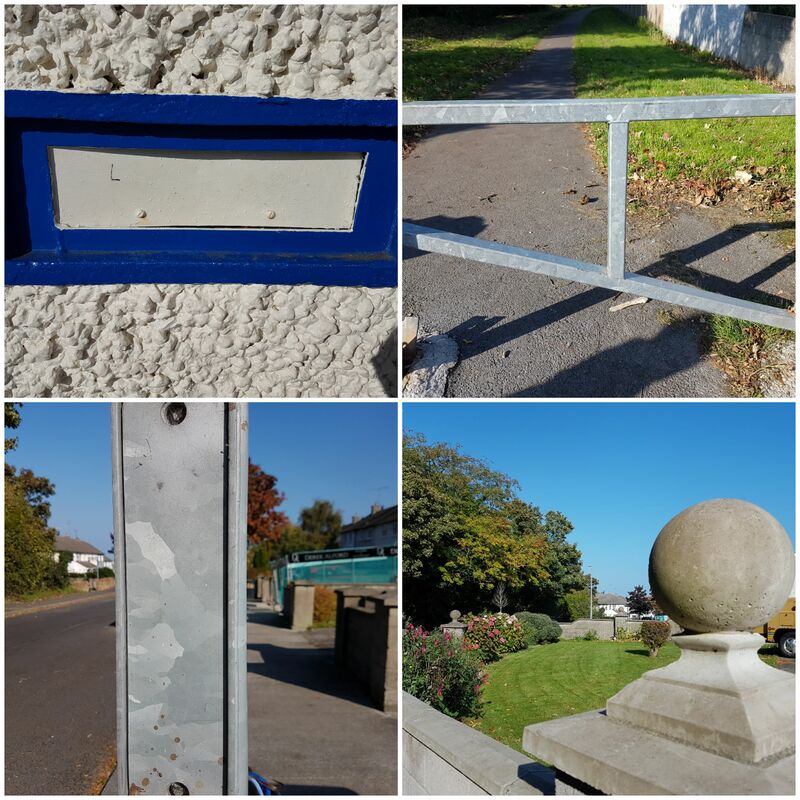 They recorded tallies of all the number plates around Howth. Dublin (D) was the highest recorded county of registration with Cork (C) not far behind. Room 13 also have been learning about forces in Science. They became designers, scientists and experimenters in order to safely drop a ‘space egg’. 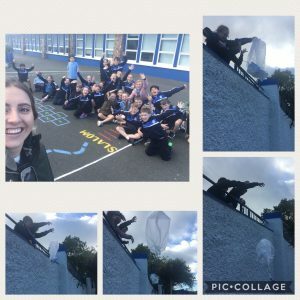 The most successful group, who didn’t crack their egg, ensured their parachute had a large surface area to slow the egg down before it hit the ground. 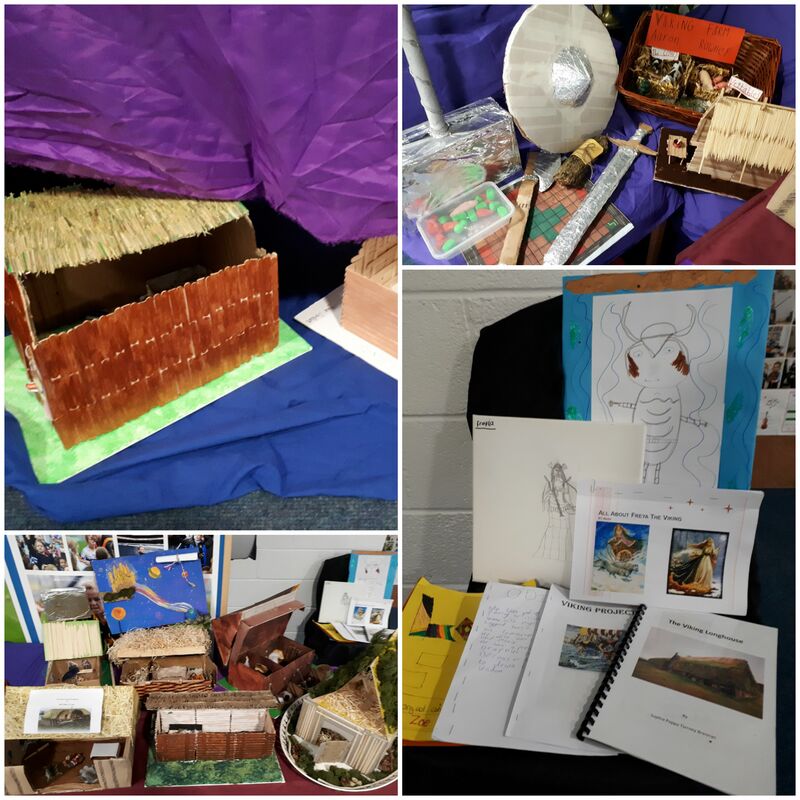 A great learning experience for all – well done!